Is Wedding Photography Worth It? That article goes into great detail about all the expenses a wedding photographer has each year, and while it may seem like we make six figures a year, our net income is about a third of that! A third of what we make goes straight to Uncle Sam for income tax, and third for business expense, and then whatever is left a photographer’s net income. But that’s for another day in time. Today I want to focus on why. Why is wedding photography worth the investment? In recent weeks, I’ve talked with several brides who all have one thing in common. They regret their choice in photographer. This regret is one of the biggest regrets a bride could have and one she has the rest of her life. Last year, I surveyed 300 married women and asked them what they regretted anything about their wedding. You can read that post here. If you want to view the data from the survey, you can do so here. When I wrote those blog posts last year, I was sad for the Brides who had a less than impressive experience. However, after talking personally with the brides I have the last couple of weeks, my heart absolutely aches. One bride had her wedding in August, and she has yet to receive her wedding photos (IT’S NOW MARCH, MY FRIEND!!!). Ladies, I’ve said this before, but it’s worth repeating. 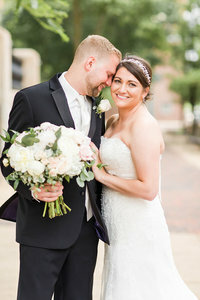 It does not take two months for a photographer to edit your wedding photos. It takes two months for your photographer to dedicate the mere hours to edit your photos. 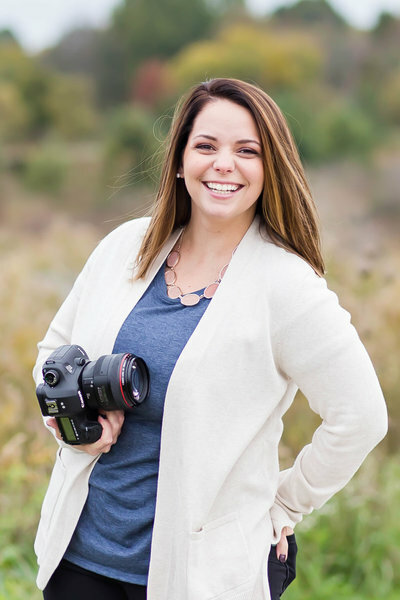 Another bride is disappointed in the quality of her photos, and a third bride thinks her photos are okay but did not enjoy the experience she had with her wedding photographer. Another thing these brides have in common – they all spent less than $2000 on their photographer. Now don’t get me wrong, there are some photographers out there who charge less than $2,000, and their Brides love them. 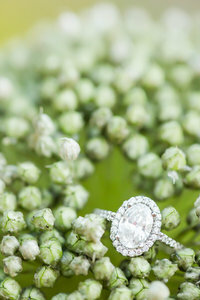 The photographer provides a top-notch experience, delivers wedding galleries in under two weeks, and has quality work. These photographers are few and far in-between. When you’re searching for a photographer here are a couple of things that will help make sure that the investment you spend is going to end with you overjoyed. The photos on their website/Facebook page are in focus. I want to take a second to address the last point. Because honestly friends, the first six points are self-explanatory. Seasoned wedding photographers have been around the block a time or two. They understand what it takes so your wedding day is as stress-free as possible. Great photographers anticipate your need before you even know you have one. One way your wedding photographer can ensure a stress-free day is by drafting a wedding day timeline for you to follow. This is the first wedding you’ve planned. You have no idea how long it takes for detail photos, getting dressed, first look, all the portraits, and what comes after the ceremony. And you know what, that’s okay! You should never feel overwhelmed with your timeline. You might have a million and one questions. You’ve never planned a wedding before, so again, that’s okay!! A great photographer will be able to answer a million and two questions you have. They will be able to assist you, guide you, and give you advice on just about anything. From vendors to the whether you should have a bubble exit or a sparkler exit. When you dedicate a significant portion of your wedding budget for your photography, you are ensuring a couple of things. The first being that you have wedding photos you’ll be proud to show off for decades to come. The second is that you had someone to answer your every question and designed your wedding day timeline for you. The third being you have someone you can rely on from the moment you email them. So now for the most important reason why wedding photography is worth the money. You’re only going to have one wedding. The photos taken that day will outlive you. You should be proud to show off your photos, hang them in your home, display your wedding album for everyone to see. Your wedding photos are what you have to share with your children and grandchildren. Your cake is freezer burnt by your first anniversary, leftover stationery tossed during a big move, and while florals are one of my favorite parts of a wedding day, they don’t make it past your 72 hour anniversary. 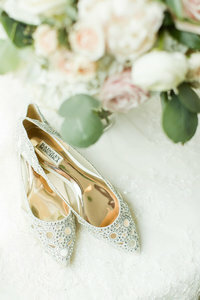 Find room in your budget for a photographer who will make your wedding dreams come true. The last feeling you want to feel after receiving your wedding photos is regret. A third of our wedding budget was spent on our wedding photographer. I never felt alone in the planning process with Kaitlin. 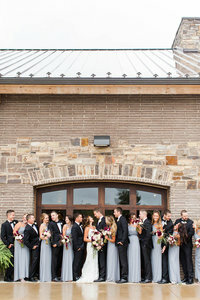 We received numerous surprise packages from Kaitlin and were given the most beautiful wedding photos ever. Every day I am thankful that I spent the money on my photography instead of worrying about favors or having an open bar. If you’re looking for ways to cut your budget, read this post! I talk about the 10 ways Josh and I saved money, yet still had the wedding of our dreams! Yes! Such a great post, Loren!